Bad weather hampered efforts on December 31 to recover scores of bodies from the crash site of AirAsia Flight 8501, as distraught relatives waited for news and gave their DNA to help identify loved ones. 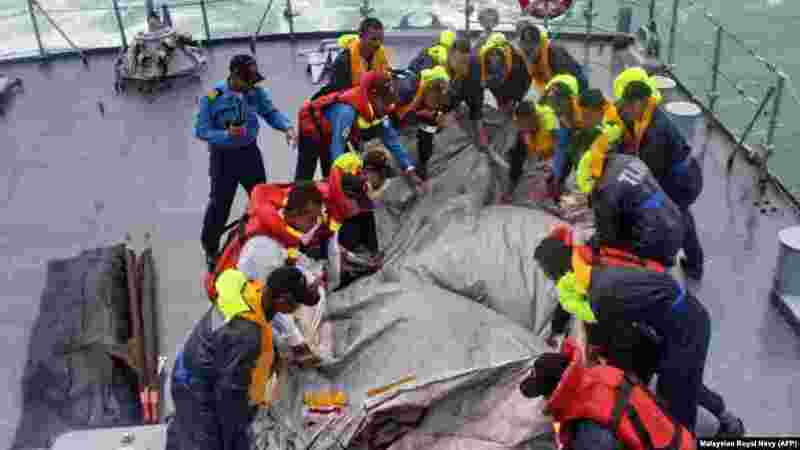 1 Royal Malaysian Navy crews retrieve a victim from AirAsia Flight 8501 during their search-and-rescue operations in Indonesia's Java Sea, Dec. 31, 2014. 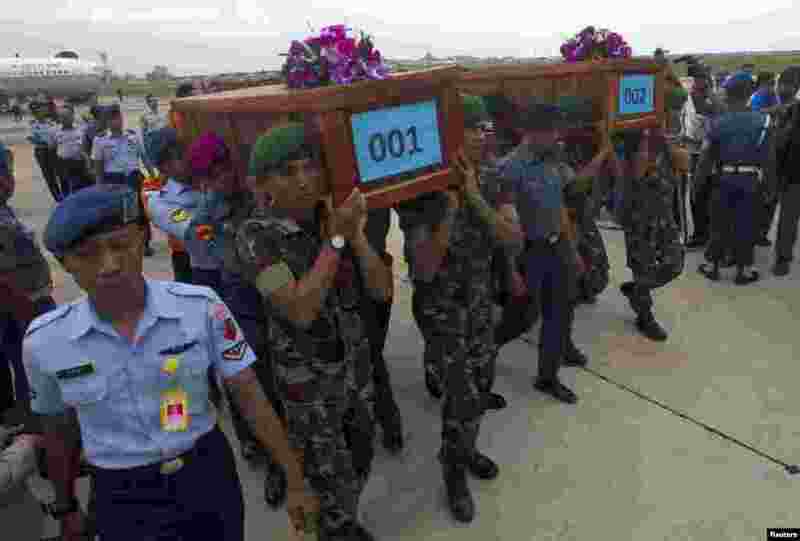 2 Indonesian military carry the caskets containing the bodies of two AirAsia Flight 8501 passengers recovered off the coast of Borneo, at a military base in Surabaya, Dec. 31, 2014. 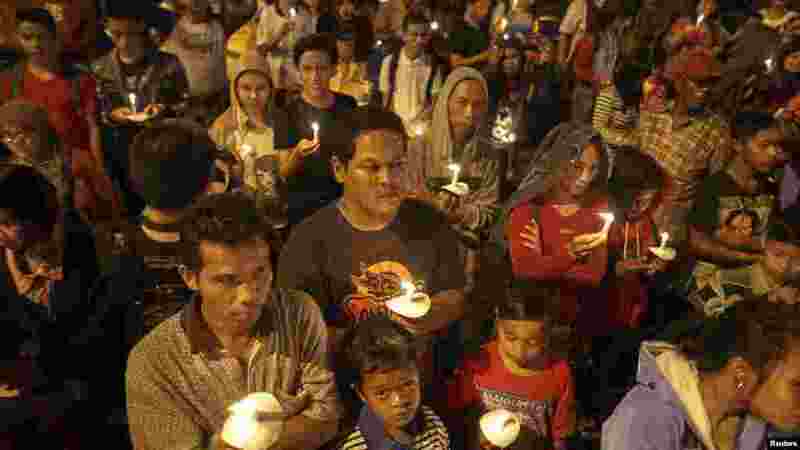 3 Indonesians hold up candles during a candle light vigil for the victims of AirAsia Flight 8501 at Surabaya, Dec. 31, 2014. 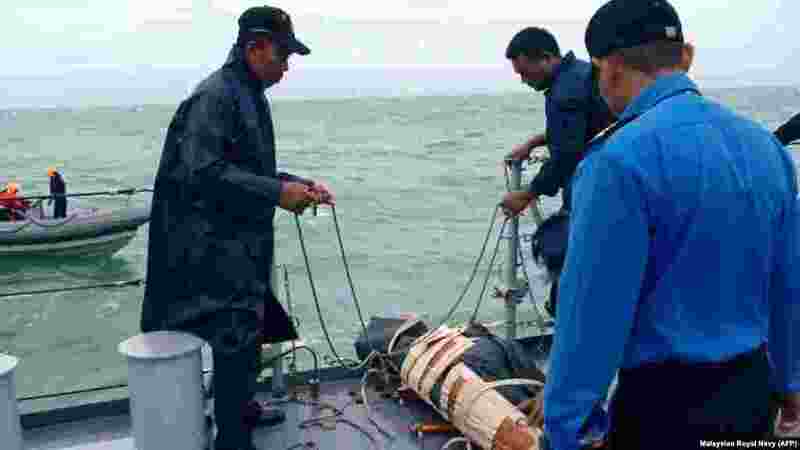 4 Royal Malaysian Navy crews retrieve the emergency evacuation tube from AirAsia Flight 8501 during their search-and-rescue operations in Indonesia's Java Sea.